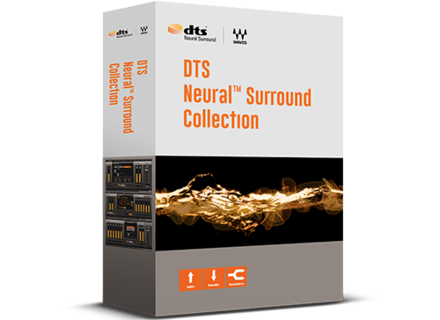 DTS Neural Surround Collection, Surround treatment software from Waves in the DTS Neural series. Waves releases DTS Neural Surround Collection, a bundle including three plugins under licence from DTS. Developed under license from DTS, Waves' DTS Neural Surround Collection is composed of three plugins designed for upmixing stereo sources, downmixing 5.1 and 7.1 surround audio, and converting mono content to stereo. 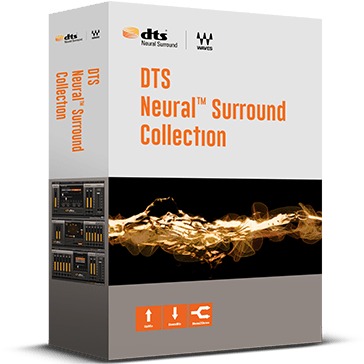 The DTS Neural™ Surround Collection is designed for live sports and music broadcasts, internet streaming, and post-production for television and film. The three included plugins—DTS Neural™ Surround UpMix, DTS Neural™ Surround DownMix and DTS Neural™ Mono2Stereo—claim to provide real-time processing for upmixing stereo sources to surround, downmixing surround sources to stereo, and converting mono content to stereo with full spectral accuracy, providing what is described as "a discrete-sounding, end-to-end surround delivery system for any live broadcast or post-production situation". MSRP is $499 and more details are available at Waves' website. Individual plugins are not available separately, but are included in Waves' Broadcast and Surround Suite bundle. WNP Sounds offers Free Urban Sounds WNP Sounds has released Free Urban Sounds, a set of 3 free building kits as a taste of their Urban Sounds Collections. Slate Digital releases FG-116 Blue Series Slate Digital has released the FG-116 Blue Series, a bundle of two 1176-inspired compressor plugins for VMR. Flash sale: Waves' MaxxVolume over 80% off For 48 hours only, Waves offers its MaxxVolume leveler plugin at a special price.